A coalition government has been agreed in Italy, ending months of uncertainty in the EU's fourth-biggest economy. 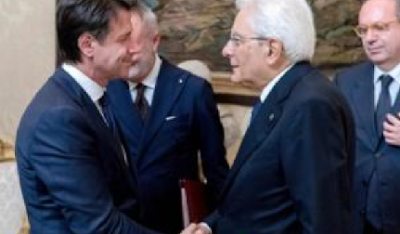 Prime Minister-designate Giuseppe Conte presented his list of ministers to President Sergio Mattarella for the second time in a week and the new government will be sworn in on Friday. Mr Mattarella rejected Mr Conte's original choice for economy minister but a different candidate was agreed on Thursday. Four days of political and constitutional crisis are over. And a new populist government - led by law professor Giuseppe Conte - will now be sworn in.